I actually own this book, and refer to it all the time. 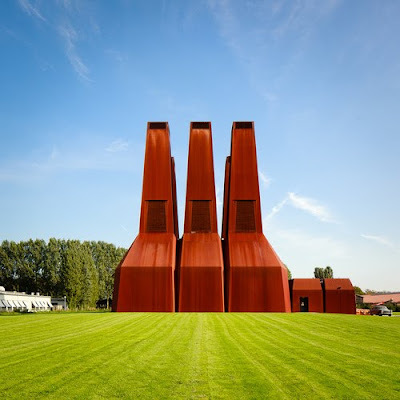 If any of you could tell by the rest of my blog I enjoy all types of art, architecture, installations, sculptures you name it. 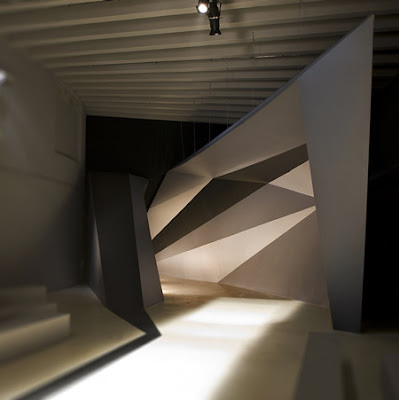 But architectural Installations are some of my favorite. I feel as if you have the free range with installations, and they can be whatever you want them to be. Architecture can have mathematics to it and has reason but with installations you can be free, do what you want, not have a purpose. One of the reasons I love Space Crafts 2 is because well its full of architectural installations. The book calls them hideouts and well they are, but they are all just so fun. Some of my favorite architecture is in this book and I love looking through the book. For some people I think they have a hard time understanding some types of art but to me art that you look at and wonder is fulfilling and entertaining. You sit there and think, and thinking is fun. Instead of walking up to a piece and going on that's a male naked body you stand there and think what was the artist thinking, and then to just add to the fun you can think well this is what I think it means. It can mean anything you want. While some people might look through this book and think these are just weird pieces I believe its so much more then that, and that's one of the main reasons I love this book. I personally would love to be an installation architect, and all my pieces of work have similarities to free hand, free spirit work. 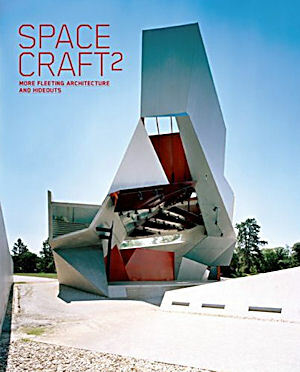 So Space Craft 2 is a great resources to get inspiration and ideas for just fun projects. oh yea and Space Craft 1 is great too.